If you combine the west coast of Ireland, the Outerbanks of North Carolina, the volcanic outer islands of Hawaii, and the northern rocky coast of Maine... you will start to get a picture forming in your mind of the unique aesthetic beauty and diversity of Channel Islands National Park. 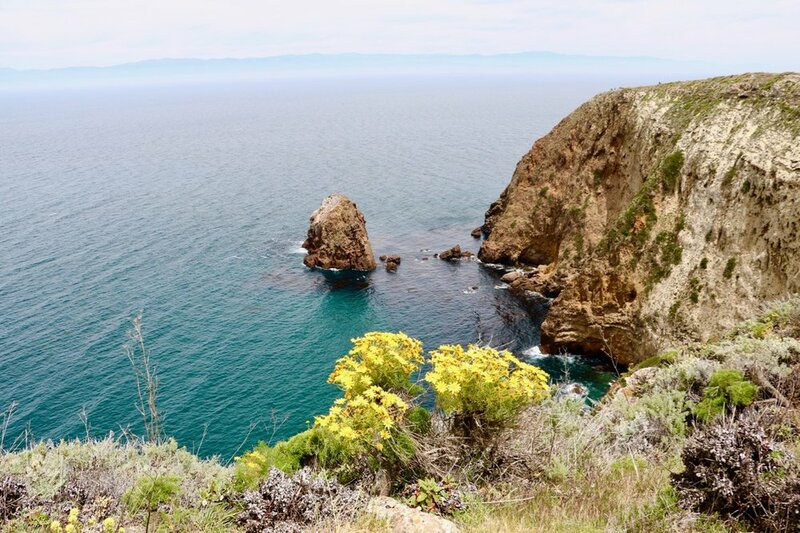 a group of five islands located just miles off shore of Ventura California, the Channel Islands are like entering a totally different world from the Southern California coast. only accessible by boat, the adventure begins by jumping onboard a charter from Island Packers to transport you the 12+ miles to your island of choice. 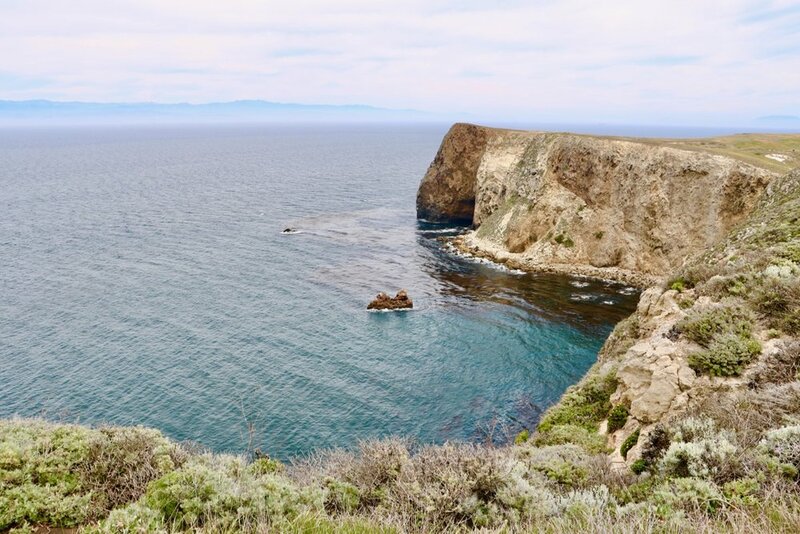 I had the chance to visit two of the five islands, Santa Cruz and Anacapa. To give a little background o the islands, all are uninhabited and only two of the 5 islands have accessible fresh water. Though they are close in proximity to the California coast, many of the plants and wildlife are completely unique to the islands which tells that the species have not crossed the channel to the mainland. Settlements by both Spanish and American settlers were attempted but did not sustain on the islands. From what geologists have found in studying the land forms, they actually are very different than that of North America and very likely were never part of this land mass. They are often referred to as the Galapagos of North America as they have species that live no where else in the world. I set up home base in the famous surf town of Ventura, CA, after a nerve-wrecking drive through Los Angeles County on my way from Joshua Tree. Needless to say, I was ready to get out from behind the wheel of the car and on to the ocean for a gorgeous ride out to Santa Cruz Island. I was treated with sightings of Pelicans and Sea Lions on to journey out to the island, and though I had set my expectations quite high for what the island would bring, Santa Cruz well exceeded expectations. 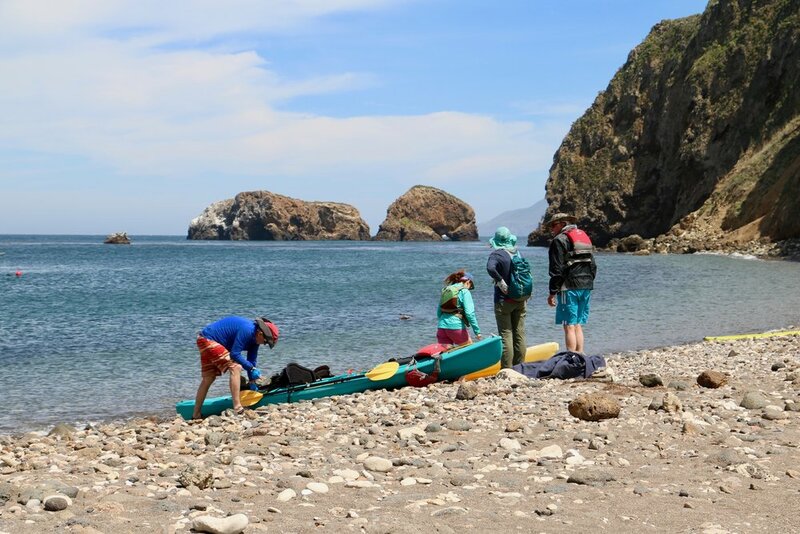 The largest of the Channel Islands, Santa Cruz offers a little of everything for visitors: hiking, kayaking, snorkeling, birding, nature walks, and camping. After coming ashore at Scorpion Anchorage, I set out with camera and supplies (no concessions at all o the island, so you have to pack in and out all you may need for the day). I hiked and climbed over 13 miles, criss-crossing the island to different scenic vistas, coves, and cliff line trails. The view were astounding and ever changing as I worked my way around. I was constantly consumed by seagulls, brown pelicans, and yes, even ravens flying about as well as greeted several times by the unique little Santa Cruz Island Fox. Everything on the island is protected right down to the last rock on the beach or wild flower on the hillside, therefore you can look, photograph, and enjoy, but nothing can leave the island. Because of the added challenge of having to get to the island by boat, it limits the amount of visitors and gave me the opportunity to go off on my own and often fell as if I was on the island all alone. It was such a peaceful and stunning beautiful place to meander about and explore. My six hours on Santa Cruz seemed to go by in a blink and too soon I found myself having to get back on board the boat and head for the mainland...Though the windy conditions kept me from being able to get into a painting on the island, I left with plenty of photos to work from to commemorate this beautiful place. the excitement wasn't quite over yet though as we ran into an enormous pod of dolphin on our return trip and the great guides with Island Packers, slowed us right down and let us enjoy watching the dolphins swim and chase along side our boat while giving us lots of great information about the now healthy dolphin population in the area. My next journey out was to the smallest of the islands, Anacapa. The day started off with some big excitement as we were treated to a brief siting of a blue whale on the way over! Great start to the day to say the least...Anacapa is a volcanic cliff island with no beach access and no available fresh water. 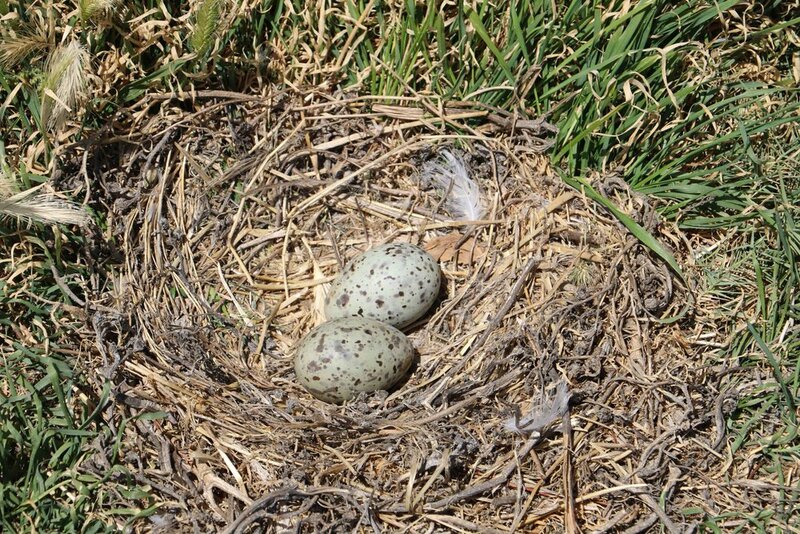 Though it doesn't have any permanent animal inhabitants, it is a critical home for migratory birds. In fact, it is the largest Seagull Rookery in North America and I was headed over right in the middle of the Seagull breeding session - a really cool and totally bizarre experience to say the least! Though we were warned on the way over, nothing really prepares you for the thousands of seagulls that are nested literally all over the ground on this tiny island of only 1.5 square miles...if you can imagine the sights, smell, and NOISE of over 10,000 seagulls in this one concentrated spot - it wild! With no predators on the island, the seagulls are not only safe to nest, they are totally in control of the island and we (humans) are definitely the intruders on their space. They squawked, fluttered, and in a few cases, chased/attacked us to protect their nests or territory. It was an adventure, to say the least and created an environment of quickly making allies among the visitors to travel/survive the island together! I spent my morning with new friends Jared and Julia from Southern California as we made our initial trek around the fog ensconced island. Then as the sun finally broke through, I met up with Mike Hezlebeck from Virginia and had the opportunity to share about my project and why I was out here. 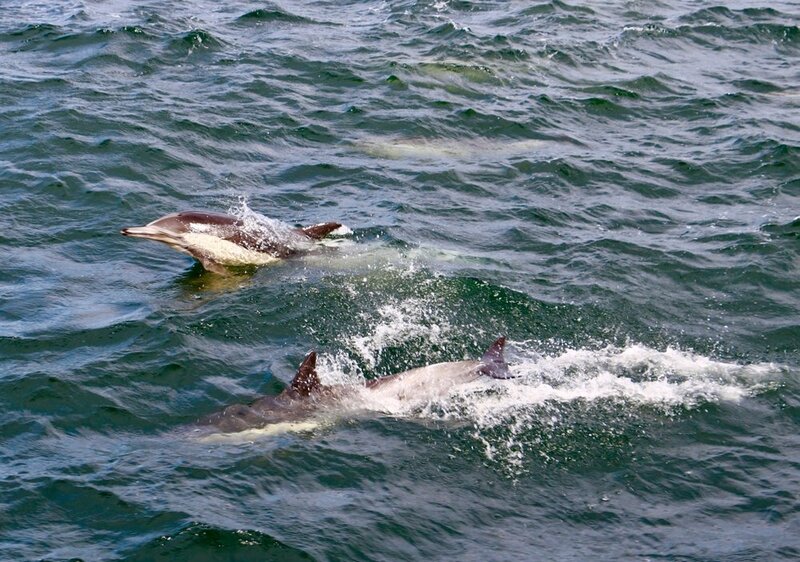 Thank you for helping make my day on Anacapa that much more fun! He and his wife are heading out this fall to relocate to Ventura, I am so excited for them to have these islands in their literal backyard - I will definitely be taking them up on their offer for me to come back for a return visit! In addition to the amazing couple days exploring the islands, the Channel Islands Visitor Center at the Ventura Harbor was another informative experience and key component to learning about the islands and not to be missed. Kathy, a volunteer at the center, was a wealth of knowledge about all the islands, animals and plants that live there. 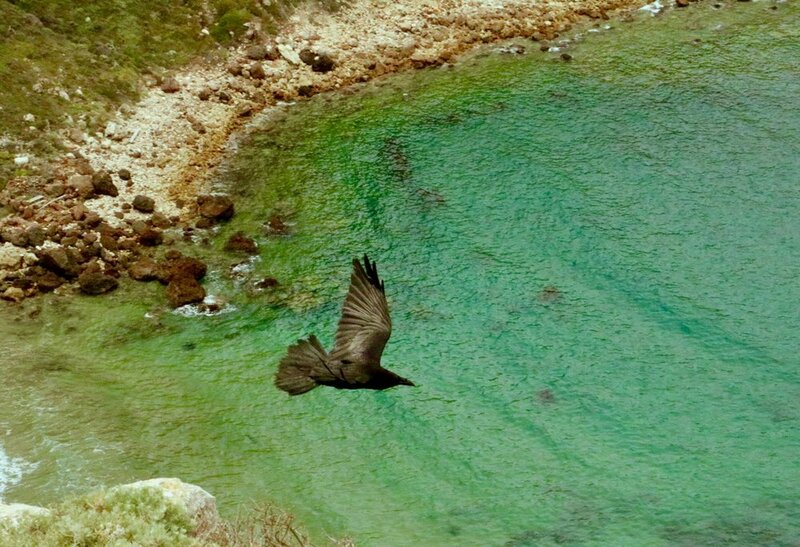 She has volunteered there since the Channel Islands were designated a National Park back in 1980. This park relies heavily on volunteers, both in the visitor center and as informative guides on the island excursions. Both Linda on Santa Cruz and Tony on Anacapa were Channel Island volunteer guides and great assets to the visits. All in all, the Channel Islands may be at the top of the heap for my favorite National Park (so far!) and definitely a place I need to return to and explore further...trust me and add this place to your bucket list! Next stop: Headed over to the Sierra Nevadas - Sequoia and King's Canyon National Parks! Newer PostWelcome to the Sierra Nevadas: Sequoia and King's Canyon National Parks! Older PostJoshua Tree National Park!